New monsters, adventure seeds, magic items, judges tips, and more! What happens when a demon dies? Oozing, scalding, deathblood floods the land, cursing it forevermore. Every seventeen years, the blood moon rises and the Fog Beast beckons villagers into the Shrouded Fen; those that follow never return. Now you have been chosen! Seeking ancient ruins, vast treasure, and arcane lore, you plunge deep into the mist-laden swamp. Plants impale corpses ravaged by man-eating birds, while specters of past victims roam the blood-cursed land. A mysterious floating portal defies entry, though the bog’s hidden artifacts are rumored to provide the key. Can you solve the riddles of the swamp and escape from the Shrouded Fen? Incredible artwork from Benjamin Marra, and maps from Dyson Logos! 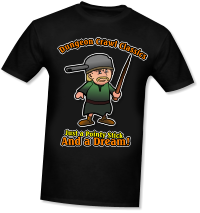 A host of random encounters and events to keep things interesting! A massive letter-sized PDF filled with images, maps, paper miniatures and more! 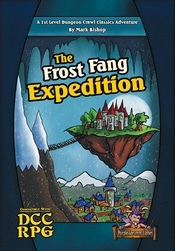 The Frost Fang Expedition challenges PCs to reach the top of a frozen and treacherous peak on a mission of discovery: why have huge chunks of a mysterious sorcerer’s floating castle begun raining down on the once quiet village of Neverthawes? The quest for answers will uncover hidden motives, fearsome foes, and deadly environments galore. 72 digest-sized pages of level one Dungeon Crawl Classics carnage! Easily adaptable to any old school system. An 'instant action' adventure with tips to play in a single 4-hour session (perfect for cons or demos), but with enough backstory for extended campaign play. Includes a 40 page appendix PDF containing judging tips, patron sheets, a host of paper miniatures, and easily printable versions of every map and image in the adventure (to be used as handouts or judge's aids). 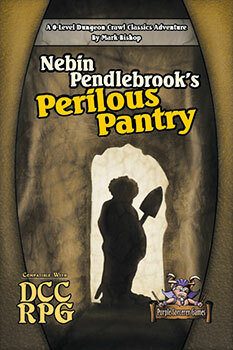 From the author of the best-selling Nebin Pendlebrook's Perilous Pantry (including tips on how to link the two adventures). A band of villagers are trapped in a mist-shrouded carnival in the dead of night, facing death at every turn. Can they survive twisted oddities like the corpse-filled Tunnel of Love and the dreaded Bone Coaster? 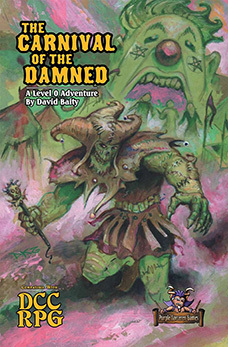 Filled with fantastic art, the Carnival of the Damned unleashes nightmares into any campaign, with encounters refined and polished by the anguished screams of hundreds of players at conventions like Dragon Con and Gary Con! For judges, the adventure fills many needs: author David Baity has crafted over 30 encounters and dozens of random threats. There is enough content for days of tournament play, or judges can select a smaller collection of favorite dangers for a quick DCC funnel session. For sandbox-style play, judges can extract individual encounters whenever a twisted challenge is needed in any old school system. There's even a haunting backstory for those looking to integrate the adventure into an extended campaign. The tiny village of Bitterweed Barrow is unaccustomed to mysterious tunnels, missing halflings, or the need for brave adventurers, but now it has all three! 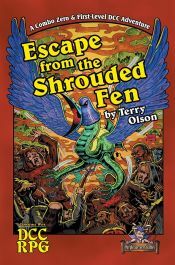 Can a band of gong-farmers and shoe-cobblers muster the courage to descend into the darkness and confront the terror that waits beyond Nebin Pendlebrook’s unexpectedly perilous pantry? 42 pages of classic 6'x9' digest-format old-school b/w dungeon fun! 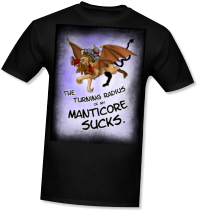 Designed to be completed in a single 4 hour session, but with enough hooks to become a centerpiece for your beginning DCC campaign. 37 page appendix contains paper miniatures of every combatant, initiative cards, battlemaps of the entire dungeon (with and without grids), and printable pics of every image in the adventure. 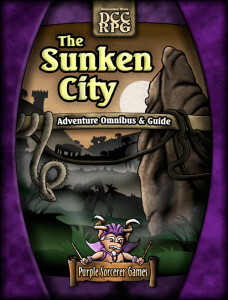 Each of these adventures is included in the Sunken City Omnibus, but you can also buy them individually. 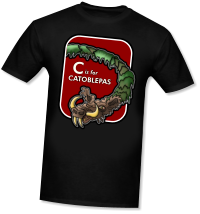 Or rule your table in one of our old-school t-shirts!